While we’ve come to acknowledge the dominance of Spotify in the music streaming space, that dominance might be diminishing … well, at least here in the US. A new report, which says Apple Music has just surpassed the once-titan of the streaming audio space, comes by way of Digital Music News who has a source at a “US-based, major [music] distributor" with insight into the exact numbers. For reference, both services had around 20 million paying subscribers here in the United States last time they revealed subscriber numbers publicly in February of this year. At the time, it appeared as though Spotify would hold its lead for the rest of the year but, apparently, that hasn’t been the case. 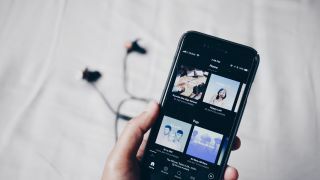 While Apple Music has overtaken the Swedish-based streaming service here on its home turf, it has a long way to go to overtake the service on the global stage, as Spotify has around 75 million paying subscribers outside of the confines of the US compared to Apple Music’s 20 million based on numbers obtained by The Wall Street Journal in early April. What’s more troubling for Spotify is that Apple Music subscribers could be more voracious listeners, racking up a combined 170 million streams of Drake’s latest album Scorpion, compared to only 132.4 million on Spotify. Those numbers come by way of Music Business Worldwide who got official numbers from Apple and used Spotify’s public-facing charts to get its data. A defeat in the US isn’t the death knell of the service but it does mean Spotify has to work harder to remain competitive, lest it become the next Pandora.